Disclaimer: This oBravo Ra C-Cu sample was sent to us and Headfonia for the purposes of this review and does not have to be returned. Thank you to the team at Audio Sanctuary and oBravo for giving us this opportunity. In November 2016, I found what I then considered to be a benchmark in open-back IEMs thus far reviewed with the oBravo EAMT-2c. So much so that I ended up giving it an award at the end of 2016. Since then, I feel the IEM market has caught up on the EAMT-2c both in terms of performance and delivering compelling semi-open designs. The 64 Audio A18 sounds more expansive to my ears for a closed CIEM and Audeze’s LCDi4 has really gone for broke in both innovative full-range planar tech and fully-open designs. Not one for resting on their laurels though oBravo have come back with their new flagship series, the Ra Cu. 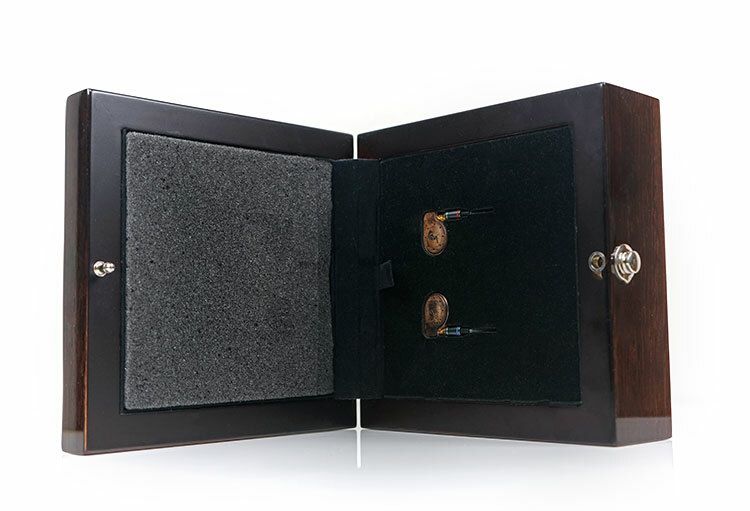 The Ra Cu is not one but 3 universal IEMs considered by oBravo to be their summit or their top of the line creations. There is the Ra W-Cu which is their wood version, the Ra A-Cu, the aluminum alternative and finally the overlord of the series, the Ra C-Cu which is the ceramic edition. 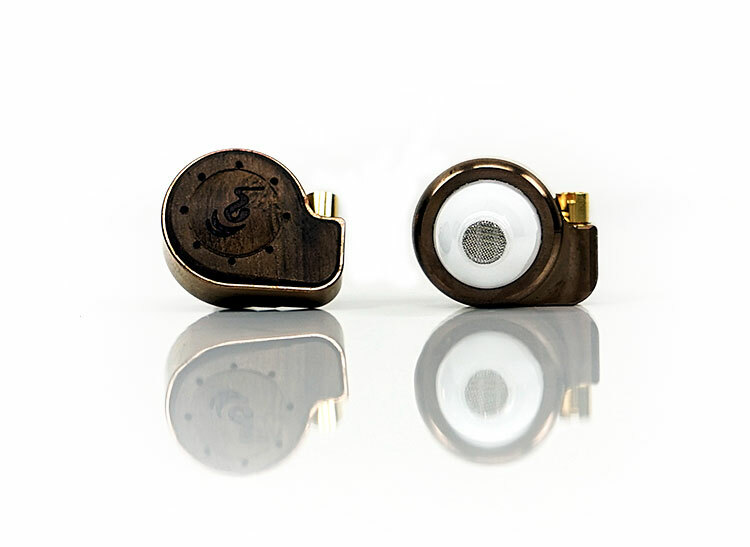 Oh and just one more thing, the Ra C-Cu costs $9999 making it possibly the world’s most expensive IEM. Read on if you dare. The basic of the Ra is the same as the EAMT series, just on another level. The Ra is technically a hybrid driver universal IEM. The mix is a single and very large 16mm neodymium dynamic driver and oBravo’s own patented AMT 8II driver technology. If I take you back to Dec 2016 when I first went through AMT technology you will gather it is a fairly expensive piece of technology to work with and though not unique to obravo it is unique in terms of the levels of miniaturization oBravo have applied to it. The norm for AMT is tweeter designs inside speakers going back to the 70s which is a much bigger build and perhaps a little easier to work with as a result. AMT is an electroacoustic transducer, unlike traditional planar ribbon designs. In contrast to a planar ribbon, the diaphragm of an AMT is of a pleated shape similar to a bellows design, (think of an airbag). Unlike conventional diaphragms, AMT diaphragms are made of mylar ribbon, bonded with conductive aluminum strips. They are designed in such a way to have a much lower mass than conventional diaphragm with a much smaller surface area, by up to 80% on traditional speaker designs. This mylar ribbon diaphragm is then suspended within a dipole magnetic field creating a very tight and tense pressure environment that basically means when a signal is passed through the folded pleats of the mylar ribbon design it moves air a heck of a lot faster than conventional designs, up to 5 times faster. As such AMT is perfect for exacting or demanding treble performance where conventional designs might struggle to keep up with complex high-frequency reproduction. The RA, however, is not simply a duplication of what has been done before in the EAMT-2C. When I spoke to David Teng, the founder of oBravo on the differences between the technology in the EAMT-2C and the flagship Ra he explained to me that quite a lot of the RA has been designed from the ground up using a brand new version of AMT called AMT 8II. 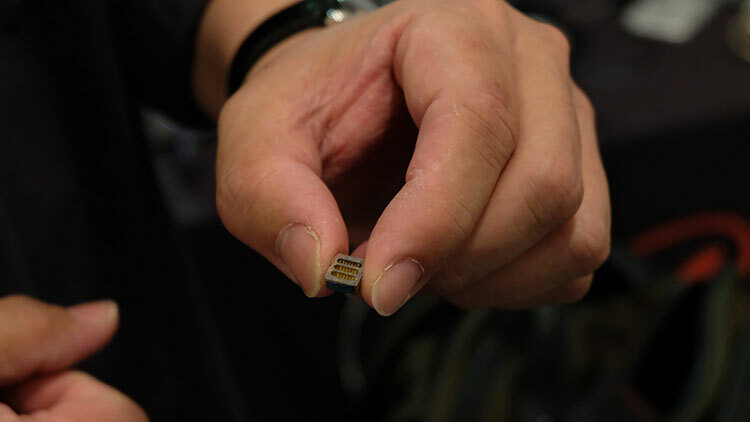 We found a new way to improve the efficiency of the existing AMT technology by around 10~15dB. We also had to patent it just as the AMT-8 original design had patents granted by a couple of countries. A major factor in the cost was the extensive time and work in researching and developing our AMT-8II technology. From the special dynamic driver selection, the chamber design and tuning, as well as the material research of the housing. We spent one year alone on the potential design possibilities and materials. Then a further year to develop and patent AMT-8II and one year to fine tune to make it a reality. 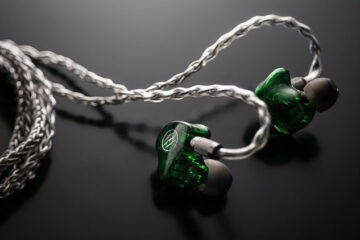 Of course, the sound is also hugely different compared with any pair of IEMs in the market. The legacy of all oBravo EAMT based designs has been centered on the use of a neodymium dynamic driver combined with the AMT driver as a tweeter. Neodymium is the poster boy for speaker magnets in the audio world, costing a lot more than ferrite despite its more corrosive properties. They generate a ton of magnetic force, more so than generic dynamic drivers for their size. This allows smaller neodymium drivers with equal performance to larger ferrite drivers to be produced which is ideal for the oBravo size and design. In short, they are not cheap, usually only in higher end cans but the performance of this driver should outshine much larger regular dynamic drivers particularly in bass performance. Previously the EAMT-2C came packed with a 12mm version. The EAMT-1c, the previous flagship of 2 years ago came with a bigger 13mm driver delivery a much grander sound than the 2C. The new Ra flagship comes with a huge 16mm NDD which is bigger than either of them. Think Sony EX1000 only with a much higher level of magnetic force or to put it bluntly, much more responsive and capable than an equivalent 16mm ferrite based driver. The Ra Cu has a different form factor to the quirkier design of the EAMT series. 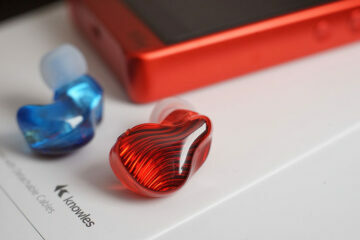 In fact, I would consider it more of a traditional IEM than the teardrop aesthetic of the EAMT-2C. Do note that there are 3 different varieties of Ra Cus on offer and they have 3 different signatures as a direct result. 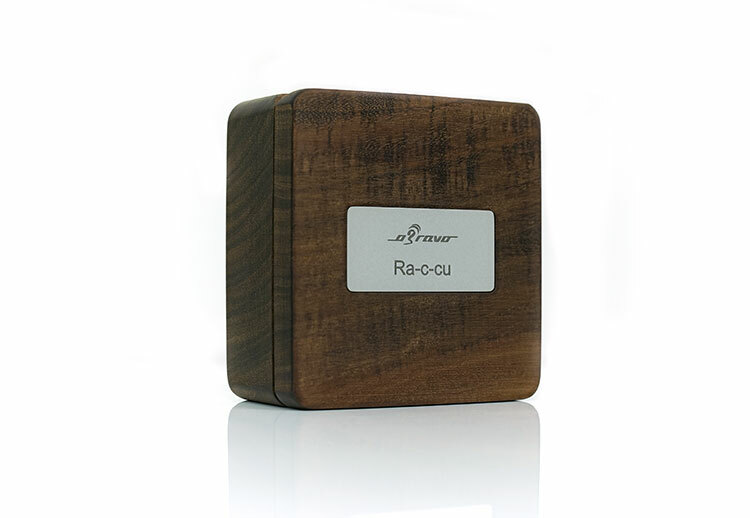 The Ra W-Cu is a wood-based enclosure and ideally should have a warmer sound. The A-Cu is aluminum and will come across as the neutral one of the three. The C-Cu, our review unit, is ceramic based and ideally should convey a better level of low-end texture and a bigger soundstage. oBravo have retained the semi-open Acacia wood plate design though lightened the grain a little so it is not quite as dark looking as before. Much of that has to do with the use of a beautifully contoured copper housing that has now replaced the coffee brown aluminum finish of the lower models. It is a bit heavier as a result but has this wonderfully aged look about it than the monotone dark hue of the 2C. Whilst the depth of the Ra is the same as the 2C the width of the base is bigger due to the large 16mm NDD. Technically the dimensions of the 2C are quite small anyway so the larger base of the Ra is still quite compact in universal terms. 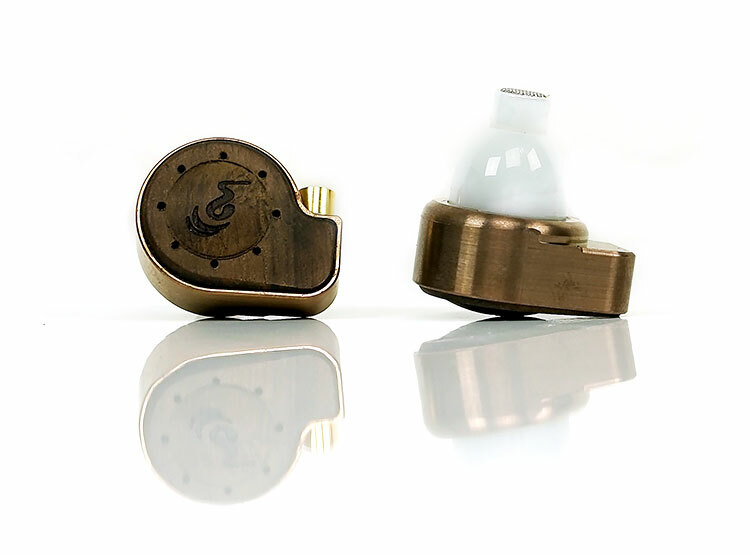 On top of the copper housing is the bulbous ceramic white chamber finish and nozzle which seems to be the same design and dimension of the 2C. I would also say the materials of the enclosure is the same also. For those that have a worry that ceramics might have some inherent fragility that is not the case with the Ra. This handmade ceramic enclosure seems to be a layered finish that makes it very strong indeed. On the top of the wood plate, you get the same gentle elevation in the center with the oBravo logo engraved and the same 8 venting holes surrounding the central ‘bump’ as the 2C. This also makes the Ra a semi-open design. If you have not heard a semi or fully open design on an IEM I highly suggest you demo them. Though the isolation levels are lower, the sense of spaciousness and air is a revelation compared to a lot of regular IEM designs which are closed in nature. oBravo have moved the MMCX connector away from the central point of the teardrop design on the 2C to the far side of the copper chassis. The MMCX tubing in the Ra is actually all part of the copper design and has a deeper inset than the 2C. The previous implementation actually looks a lot longer and possibly more fragile due to that length. Granted my 2C stems are still in great nick but I can see why they have been moved to the side. Quite apart from the additional strength they create a lower profile on the Ra making them see more compact when handling. The Ra still uses that proprietary MMCX designed connectors though which is a bit of a PITA, to be honest. The cables tiny connectors make it very difficult to connect any wire beyond 26-28awg and perhaps a very thin 2 or 4 wire at best. Aftermarket cables are possible and we did find one very special one from PW Audio which you can more about on page 2. Ironically the cable will fit just fine on any other MMCX terminated IEM but regular terminated cables will not fit on the Ra due to the shape of the brass plates. These are round and deep whereas a traditional MMCX is flatter and more ‘squarish’. If you happen to have the RHA CL1 then you may think you have the same locking system. You do to an extent, however, the RHA implementation does not have the same depth so it fails to lock sadly. The second concern is the actual cable itself. oBRavo supply the exact same cable (1.2m) as every other model in their line up for both balanced and unbalanced. From what I gather this is a 6N high purity copper cable though the thickness might suggest 4-wire or 2-wire at best. 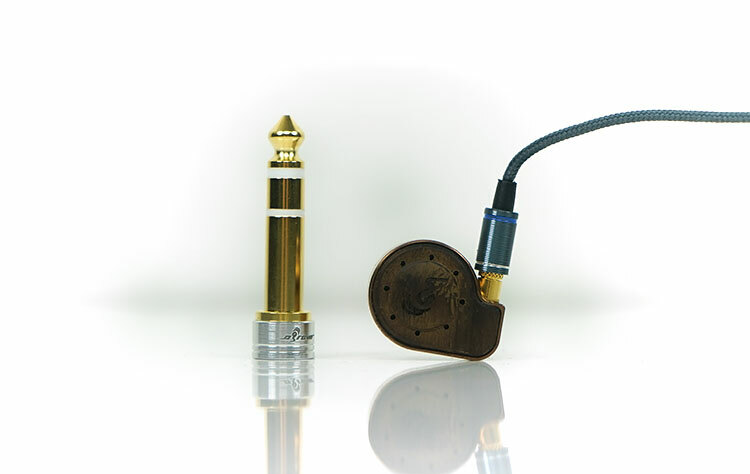 It is terminated with a plastic barrel using a gold-plated 3.5mm stereo jack on one end and heat-shrunk rubber coated connectors on the other end. The unbalanced comes in a matching grey tone and the balanced 2.5mm version comes in a white stripey cloth jacket. 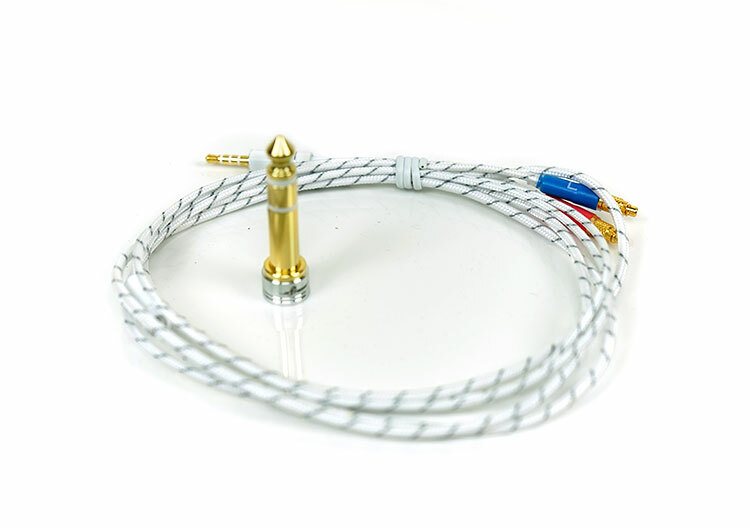 oBravo have also supplied an attractively branded gold-plated quarter jack converter for the single-ended cable. You will have to grab your own short-throw 2.5mm converter for either XLR or 4.4mm connections. The y-split is finished with the same barrel materials and there no cinch adjuster on either version. Memory retention is low though with the cloth jacket finish so no tangles. For a premium level TOTL IEM, I expected a lot more in terms of cable options. Granted, the connectors are quite limiting (see above) but the cable should be better than the entry-level model on some level. I do believe at this moment in time oBravo and their partners are putting together a premium cable upgrade path and if that comes out we will update our review. The EAMT’s central positioning for the MMCX cable means over the ear will run right over the center of your ear. That is a lot of metal touching your ear which can lead to possible discomfort or additional microphonics if the sweet spot is not found. The Ra’s offset connector means you have less metal touching your ear making for a more comfortable experience than before. The connectors and housing are also very smooth and nicely rounded with no uneven pressure points making them a beautiful fit right into the basin of your concha. As before, the drivers are not omnidirectional, meaning you can swap left with right and right with left. All specific left and right duties are housed in the cables. The heat shrink wraps around the connectors are brightly colored red and blue for easy identification. The new design also gives you a few more options in how to insert and wear the Ra over the EAMT series. You can wear the Ra in an over the ear configuration with the connector to the rear and run the cable forward and over your ear. Personally, I find that less comfortable than wearing the Ra housing with the MMCX facing forward and over your ear. It feels tidier and very little if any cable comes into direct contact with your outer ear. You can also wear the Ra straight down with the MMCX wire to the rear of your canal with no fit issues. Most of the final placement and seal on the Ra is tip dependent so there is a high degree of flexibility in how it can be worn. Microphonics on the stock cable is really excellent though if worn over the ear. If you wear the cable straight down the microphonics are much higher and more invasive. Yup, that means isolation is not great but that is not the objective with the Ra. If you have tried the iSINE series from Audeze or the ME.1 from Unique Melody you should know what you are getting with the Ra, to some extent. That is the trade-off. The staging and openness of the presentation are amazing but you will have to find a relatively quiet environment to really appreciate it. Yes, with some of the tips on offer you can block some of that out but not in the same way a BA-designed vent free custom or even semi-custom IEM. And it is the tips that will play a massive role in levels of comfort and final sound signature. Do not underestimate that statement. Like the EAMT series, the ceramic chamber has a fairly short nozzle length so quite a lot of the final seal will be tip dependent. Physically all tips work perfectly fine, I have no issues with their comfort levels. oBravo have supplied a fair range of tips but not to the level I would like to see to recognize the change in the presentation they bring. You get 3 sets of single bore silicone tips which look like Whirlwind tips. 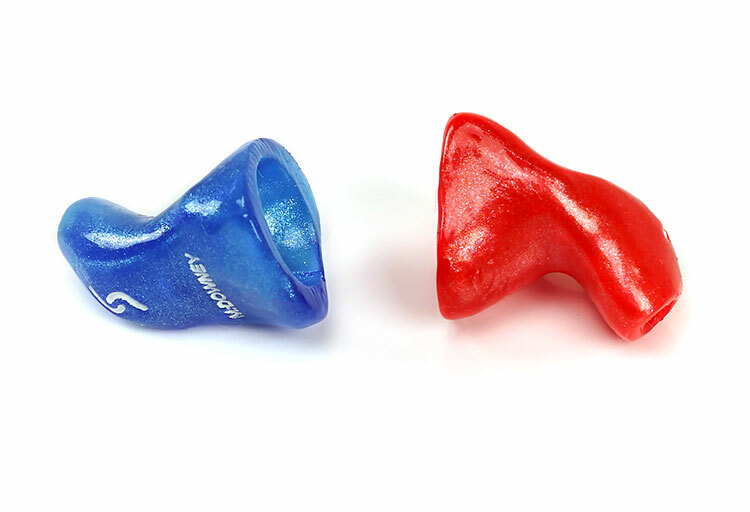 You also get three packets of Comply blue foam T-500 tips. All sets come in small, medium and large sizes. I would love to see a few more varieties in there such as a dual and triple flange, Spiral Dot, SpinFit, or hybrid Symbios type single bore. Possibly some denser foam variations such as InAirs Air 1 in large and medium for those who are more treble sensitive. My own preference was for the Comply T-500 blue foams. They offered the best seal and excellent levels of comfort as well as maxing out the low-end performance of the Ra. They also deliver a smooth top-end signature that I tend to favor with the Ra on most sources. Of course, there is always something more you can do and Snugs UK have just the ticket if you want to continue to push the boat out with a set of custom-made silicone tips. Now originally I got these for the EAMT-2c. However, they will slip on the Ra albeit in a rather weird fitting position. Mind you, you won’t feel the fitting position because the custom tips fit and feel perfect. The reason for the weird position is due to the tiny vent hole for the AMT 8II driver near the tip of the ceramic chamber. The silicone tips have a small canal inside that must align with that vent in order for the AMT 8II to push out air and not sound muffled. In the ear, they fit just like a custom but on the outside, I have the MMCX stems to the front so they end up looking almost upside down. Trust me they work but you will get quite a few stares. An eclectic mix of the fantastic, luxuriant and at times slightly illogical but never lacking in quality. That is the Ra C-Cu packaging and accessories in a nutshell. This is possibly one of the biggest and most outlandish IEM presentations that has ever landed in our office. Does it look like a 10k presentation? Well, it certainly looks better than anything else I have received. There is some stuff in this box that would not look out of place on your coffee table or mantlepiece. Perhaps that is the whole point? Let us start with the curious. The external box is what seems to be a reformed cardboard box. It is huge and comes with its own dedicated triple layer cardboard courier box. Personally, and this is just a preference thing, I would have loved to have seen a hinged steel container or wood case used. The cardboard choice seems to be a recycling green environment choice that may or may not degrade over time. It is also white and the chance of it staying white in the long run look slim if you intend to store it or move it around a lot. I mean it looks beautiful and thoroughly modern but it is not as durable as I would have liked. 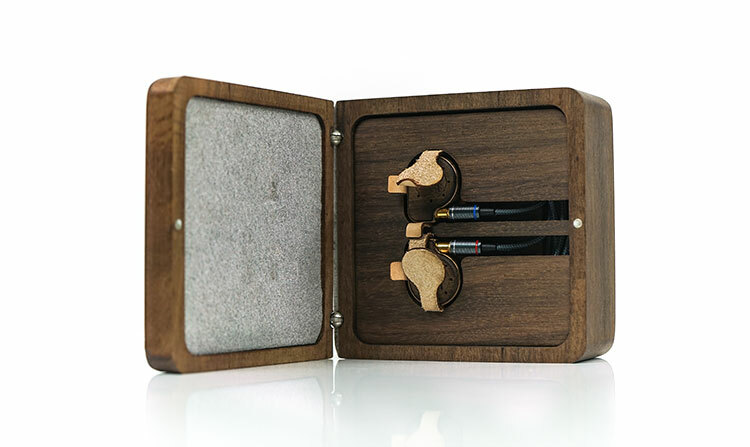 Inside you get two layers of foam, each with its own set of accessories and the Ra IEMs. 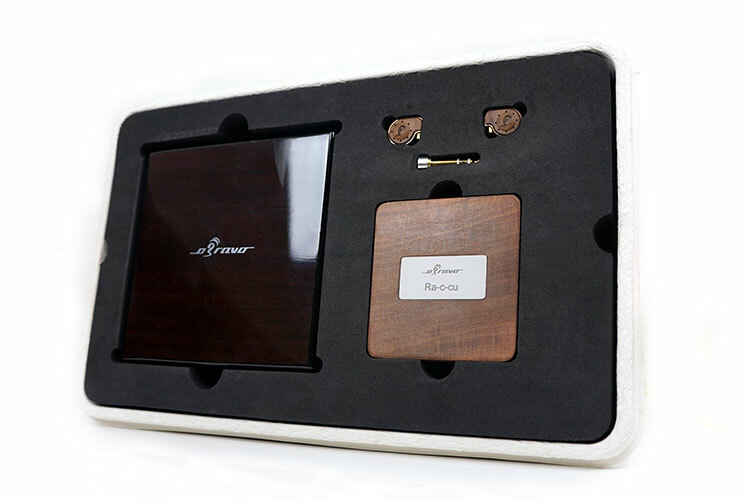 The first layer is luxuriant with two Taiwanese Acacia handcrafted wooden display units as well as the Ra driver units and the quarter jack. The first display box is a deeper colored varnished large display unit with a brass latch system and a foamed layer display for the Ra’s to slot into. Underneath, you get a small compartment to store tip, cables and anything else of a reasonable size you wish. This is for your mantelpiece or coffee table. You want to be showing off this because it is beautifully finished. The second box is a smaller square type carry box. I presume this is meant for greater portability than the larger display box. It is also finished with a matching grain of Taiwanese Acacia wood but this time it has a more natural finish to it. 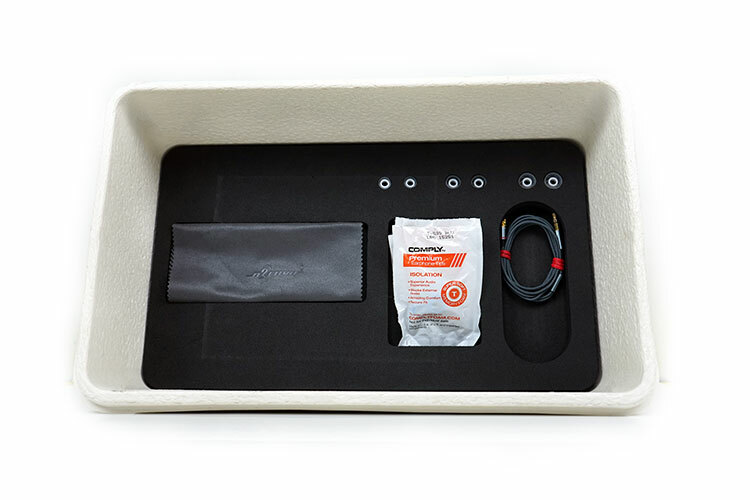 The internal has a secondary tray that works in a similar fashion to the wrap around of the iSINE series inserts. There are two inserts on the top to fit the RA into with leather straps attached to the bottom to allow you to easily pull the Ra out when you want to use them. From there you can run your cable around the side of the tray much like an iSINE or IE800 case. It is discreet and clean looking once inserted back in. The lid is not magnetized but it is heavy enough to work on its own gravity to close securely. I would advise taking the tips off before you put the Ra back in as they introduce a little too much height and prevent the lid from closing. In terms of portability, the smaller acacia wood box will work in a carry bag but I would have dearly loved to have seen an additional small pocketable case. Something a bit more functional so to speak that can take a battering and come out smiling. I think I would cry if either of these two boxes got damaged. In the “basement” layer of foam, you get everything else including a soft cleaning cloth, the silicone and Comply foam tips and the stock 3.5mm 1.2m grey cable. If you want the balanced 2.5mm version it will cost you around $40 extra. Personally, at 10k I would prefer to see that go in as standard also along with a 4.4mm converter jack. That would pretty much round out a stunning display kit and accessory list. I currently use Obravo EAMT-1C, plugged straight into an iPhone SE. If I did the same with an Obravo RA, am I likely to notice a significant improvement in sound quality, or would I need to match it with extra equipment? If you check with our page 2 matching we go through a lot of permutations and the 2C here in the office is pretty much the same performer as the 1C, justs lightly less bass. I think as a baseline yes the R is a setup in clarity and staging no doubt based on my comparison with the 2C but matching to get to the next level is more complex. It is not really about bigger setup equals better setup, just the synergy. My iTouch wasn’t the worst but the Ra does need more power. At the same time, big desktops didn’t always perform that well also. My sweet spot was actually the Sony D100 pro recorder and the ALO Continental Dual Mono using its OTG capability with a smartphone. I would suggest trying before you buy or demo a lot of different pairings before you make up your mind to upgrade. What a lovely 10k gift. I really don’t understand. I work for a multi-billion IT company that produces and sells hardware and I’ve never heard of a situation where we would leave a product of this price with the reviewer. It just doesn’t add up. If a company can “give” to it’s reviewers a 10k worth piece of kit, either this is a huge company or the cost of the product they are trying to sell is not worth nearly that and what we are paying is just IP (intelectual property). And yes, I do question the ethics of the reviewer/site accepting this kind of gifts. Well, I don’t agree with a single thing you said but everyone is entitled to their opinion. Btw Marcus, love your reviews but just like to have a constructive debate, hope you don’t mind xoxo. I do agree that if company survives then they’re doing it right however, it means that the shift in pricing trend would gradually move higher and higher and what I’m concerned of is general overvaluing of the product which results in higher average price than it should be. This would fend off potential audiophiles or make it hard for certain demographics to even own top-tiers. You should definitely read Andy Kong’s response to the value to price proposition and flagships in our Cayin Interview just published today. He can explain better than I could. Awesome man, yeah I can’t afford these either but doesn’t mean you can’t sit down with the right pairing and enjoy them for what they are. That is part of the fun of this hobby. Anyway eamt2c is amazing eatphone and I do not doubt Ra – cu they are better maybe one day I will have them . At that price might as well just buy a car, makes absolutely no sense to make the product so exclusive not the mention the trend of HIFI equipment nowadays trying to exploit the generosity of audiophiles. So that’s a Skoda Citigo then for you? :) Me personally, I have an eye on a Ranger, the wife prefers it in silver and I want it in black. Naughty divisive Ford but they do have a nice speaker system! You seems to drift the context of my comment onto your own interpretation, simply put, there’s a threshold that certain thing should be valued at, it hurts the consumer in the long run and I have no clue why you would otherwise feel amused. No such thing, people are entitled to value anything at any price. The market and who buys it then decides if that was fair or not. If the company sells enough to make profit then they made the right choice. If not they made the wrong choice. That’s how the world has been working for centuries. I think the comparators are all wrong in this review. At $9999, and basically requiring desktop amplification this should be compared to the Susvara or the LCD4, not in-ears. Also, where the LCD i4 at in this review? There is no lcdi4 review because it arrived after the Ra review was completed, I may update it after I do the LCDi4 review. Also, I do not think the Ra should be compared to headphones because it doesn’t need a huge amount of power, it needs the right amount of power and good synergy to balance out the performance of the two drivers inside. That means a good tube desktop should be great but the Ra is not exclusively a desktop amp pairing. The ALO Audio CDM worked wonderfully with it using an OTG to my phone which is entirely portable. Something which the susvara cannot do. I originally thought more power equates to a better sound but the AMT is hugely more sensitive to power than the NDD hence thats why it gets peaky on big amps for me personally.